It had family, friends, librarians, my childhood bestie, a surprise appearance, great food, fresh flowers, surly teenagers, pretty babies, a local literary mainstay, and a book. Our book launch party had everything. 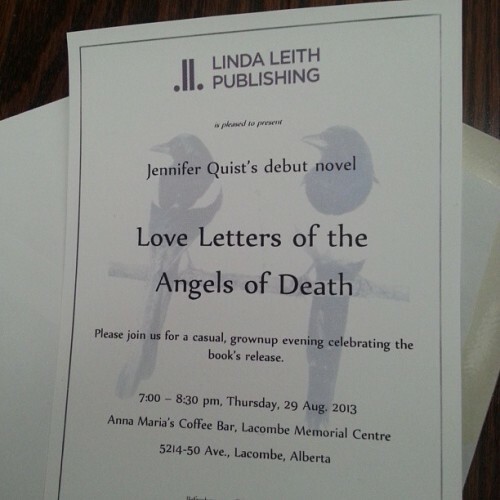 Last night, in my current hometown of Lacombe, we did indeed launch my first novel, Love Letters of the Angels of Death. Fran Kimmel introduced me, I read the first two sections of the book’s first chapter, and the rest was just love. 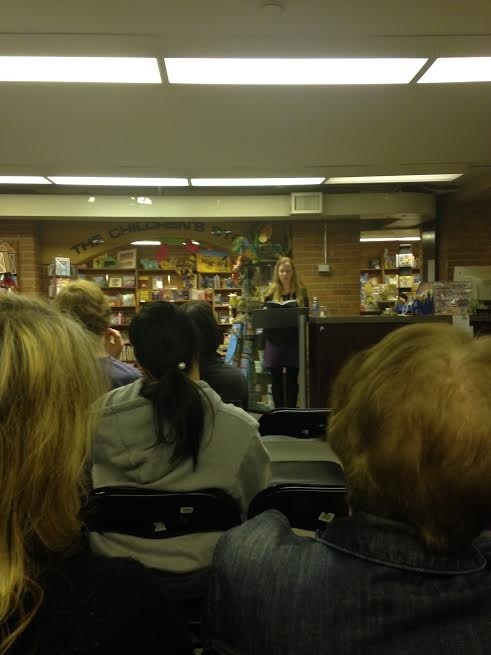 I imagine it was kind of like being at my own funeral – which, if you know me or my book, is wonderful. So, Um, What Are You Doing Next Thursday? Yes, this is me, asking you out. Next Thursday, I’m having a party to launch my novel. Whoever you are — whether you know me in person or not, whether I can see your house from mine or not — consider yourself invited (unless you are a child who is old enough to walk but not old enough to keep your mitts out of the punch bowl and sit and listen to Auntie Jenny read stories about dead people). If you can’t make it to the Lacombe launch party, I’ll be reading in Red Deer at Sunworks on Friday, September 27 at 7pm. 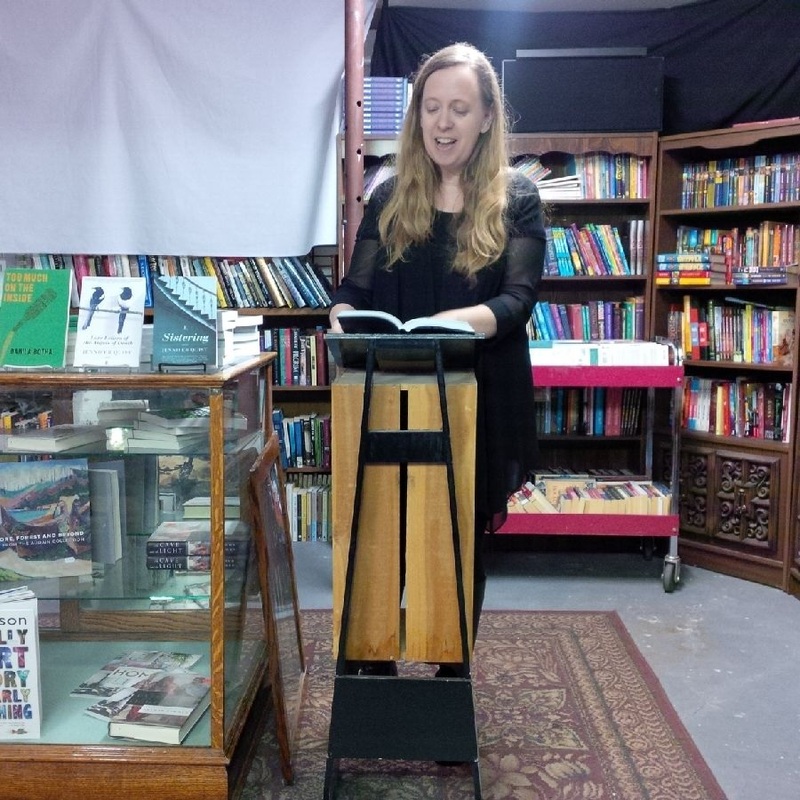 And if you’re a big city type, I’ll be reading in Calgary at Pages Kensington as part of Filling Station’s Flywheel Series on Thursday, Sept 12 at 7:30. Look, I’m delicate and socially awkward. Come see me. 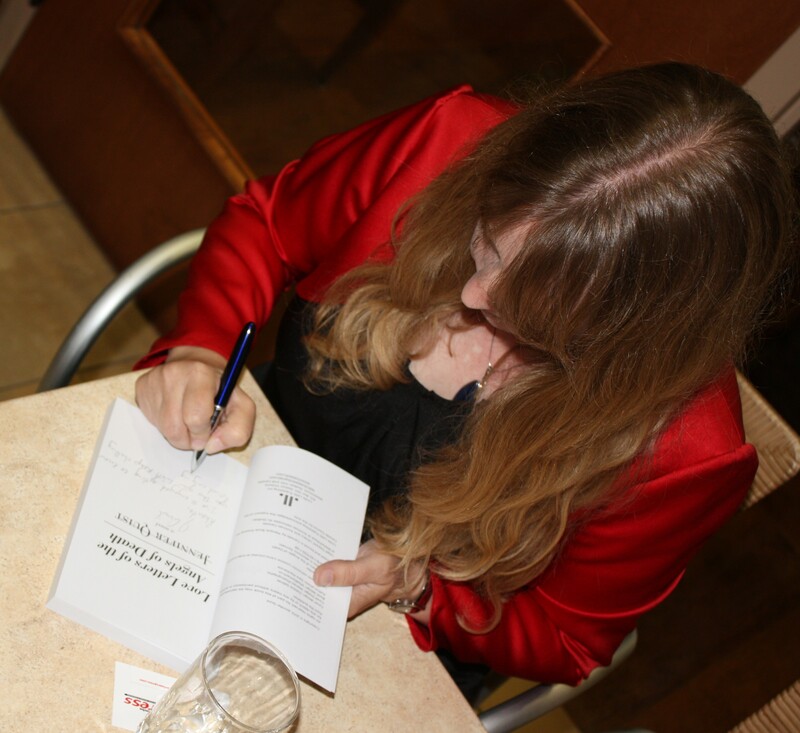 The countdown to the release date of my novel, Love Letters of the Angels of Death, has passed the point where the time is measured in months and moved to where it’s measured in days. Look, it’s right there in the column of widgets beside this post. The moment has come to start opening the windows on my advent calendar. The book’s release date is practically here. In preparation, my literary fairy-god-sister, author Fran Kimmel, came along last week and held my hand as I booked a venue for the novel’s launch event. It’ll be happening here, in the small-ish town where I live, on August 29. The timing – a Thursday night right before the last long weekend of summer – is terrible. I know that. It won’t be convenient for anybody. In my head, I’m already composing the passive-aggressive email I will send to all my first degree relatives living within a 100km radius of my house. The message will explain that, while I will try my best to act like a grownup, if any of my nearest and dearest skip my launch party, I might be stuck thinking very, very hard about their absences for a very, very, very long time. In what was probably not a great moment in Feminism, I spent an hour in my closet trying to figure out what to wear to the launch. My closet is usually a happy place. It has everything from thrift shop finds to fancy satin bridesmaid dresses. But nothing seemed quite right. In passing, I mentioned my wardrobe silliness to my publisher. I think a part of me wanted her to send me a uniform – a matching Linda Leith Publishing t-shirt and cap, maybe even an apron and hairnet. Instead of sending me a kit, Linda’s advice was simply to wear something that made me feel terrific. 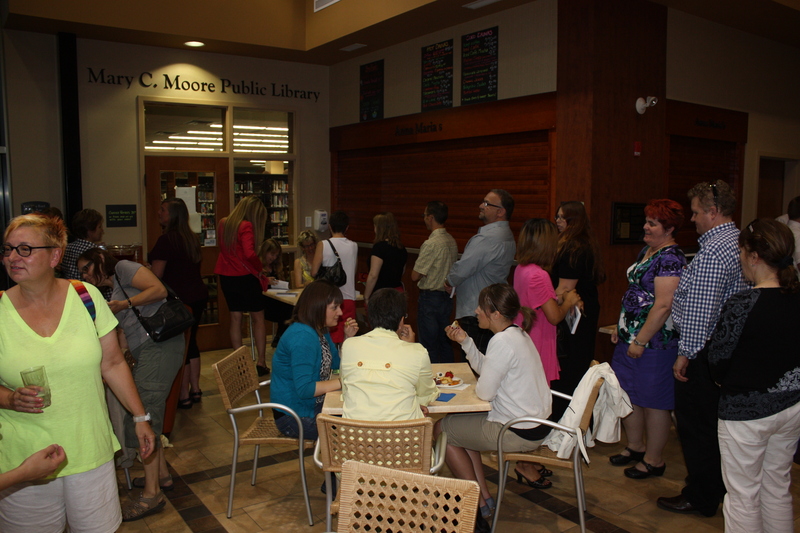 Something terrific would be something I could forget about – something that could fade into the tone and rhythm of the reading and talking and celebrating I’d be doing during the launch. And I was beginning to form a vague, shadowy notion of what that might be. Ever since I signed the publishing contract last winter, I’ve been slowly dressing more and more like someone who’s written an artsy, Gothic love story because – dangit — that’s who I am. I knew the spirit of what I wanted to wear but couldn’t yet read the letter of it. My glamorous sister-in-law understood. We’ve been together for over eighteen years. That’s her entire adolescence and adult life. She sees me from an angle similar to the one her brother, my husband, uses to look at me – one that somehow makes me appear genuine and beautiful and at the same time, one I hardly recognize when she describes it to me. She took me to her favourite jewelry shop – the place where a nice old hippie guy once diagnosed me as psychic – and helped me choose a pendant I could use to anchor my launch-day wardrobe. 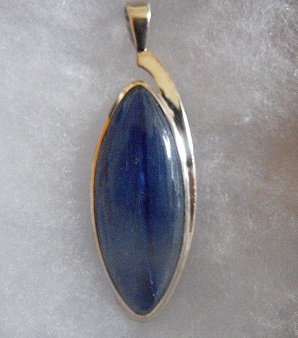 It’s set in silver and shaped like an eye – a blue eye like my eyes, my husband’s eyes, and the ten blue eyes I assembled from the atoms of my own body as the mother of our sons. There — that’s me.